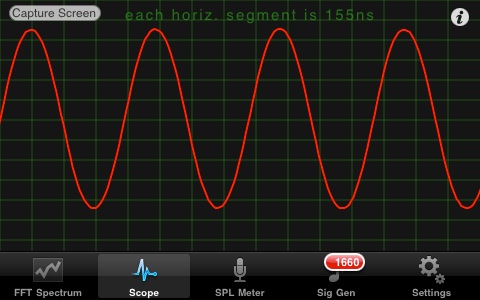 Audio Kit 2.0 release from Sinusoid includes audio sweep generator as an in-app purchase. 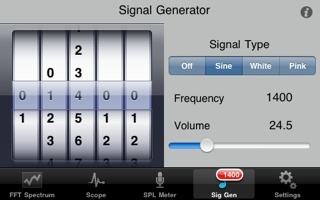 The sweep generator allows sweep or chirp of audio frequencies in either increasing or decreasing direction. Length of sweep can be specified up to 20 seconds, and down to very short intervals. Sweep output can be either linear of exponential. Sinusoid Pty Ltd announces the initial release of AKLite iPhone App . 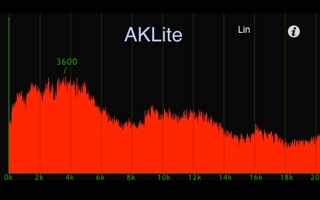 AKLite is a real time spectrum analyzer. 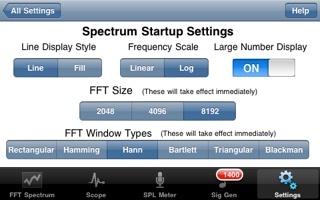 It is a lite version of the Spectrum part of Audio Kit iPhone App, also by Sinusoid Pty Ltd.
As an introduction to the Audio Kit App, AKLite is free of charge. 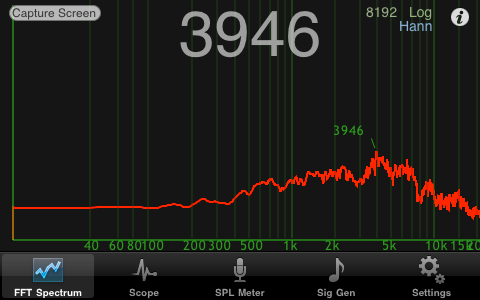 The area under the line trace can be optionally filled or left blank. The FFT length used in AKLite is 2048, giving good resolution of frequencies. 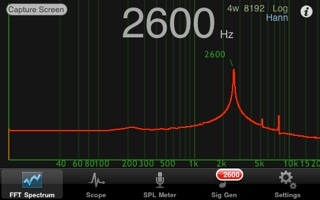 Interpolation gives resolution to within 1Hz. 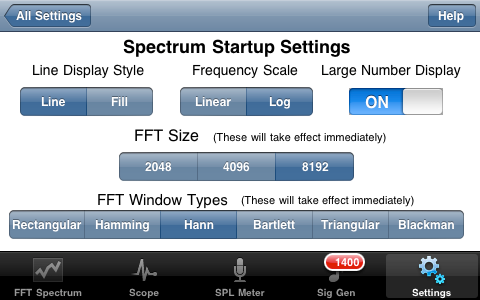 A Bartlett FFT window type is used for calculations and there are 3 FFT windows used. All Sinusoid iPhone Apps are now back on the iTunes App Store now. 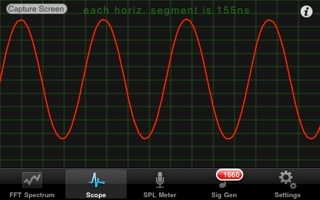 is a collection of four tools which are essential for those working in audio, sound and music; A real time Spectrum Analyzer, a Scope to display waveforms, an SPL Meter, and a Signal Generator producing sine waves, white noise and pink noise. 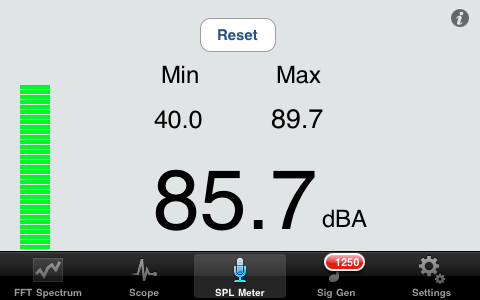 Users can view a real time spectrum of audio, identifying peak frequencies, as well as view the actual waveform of the audio signal and much more.